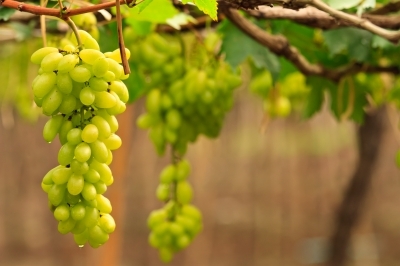 John15:5-7(NIV) 5 “I am the vine; you are the branches. If you remain in me and I in you, you will bear much fruit; apart from me you can do nothing. 6 If you do not remain in me, you are like a branch that is thrown away and withers; such branches are picked up, thrown into the fire and burned. 7 If you remain in me and my words remain in you, ask whatever you wish, and it will be done for you. 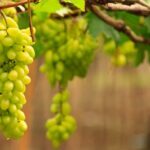 Remaining as part of the vine and recognizing that the Creator is within you is a matter of emulating the behavior of knowing. We discussed the fact that when we go out on our own we find a life of struggle. By meditating and asking for our smallest desire life becomes less complicated. However going into meditative prayer to ask for what you desire requires daily practice. Go into meditative prayer after you have identified, in detail, what you want to achieve and what it will feel, look, smell, sound or even taste like when you receive it. 1. Ask for what you want. In other words what is the goal you want to achieve. 2. Once you ask visualize it being completed and a phrase you will hear or say or picture a scene to indicate it is done. One of my clients chose the phrase “free at last” to indicate her request had been granted.Another chose “Thank you Jesus.” “Feel It’s Real” when doing the visualization. 3. Be in gratitude of the thing being given to you by telling the Creator “Thank You” because you have already received your request. What you desire is sitting in an alternate invisible universe (heaven) and is looking for a way to manifest (show up) into your world. After your prayer, be aware that over a period of time you will receive all the answers and the steps you need to be successful. People will show up in your life as you need them or you will be compelled to call or be somewhere to receive. If you are a business person you still need to get your company created, get tax numbers and any other legal documents necessary. If you are looking for a location, go into meditative prayer and ask for the best one. Visualize being in a location that is best for your business and that people are coming in droves through your doors to patronize you. Creator will send you the answers and you will be walking in the knowledge that your leader is guiding you to the right decisions. After doing the meditation consistently over a several weeks you will be able to close your eyes quiet your thoughts and be in the alpha state instantly. Then you can ask your question and get an answer. Do this when you are in a situation where you need to make a decision. Ask anything.Jesus said that you can ask for anything. I have been in the grocery store when I asked if I should buy a certain item. The answer came back as no. I got home and I had 3 of the item I was going to buy. You are never wrong when you trust your intuition and learn to hear the voice of your Creator. Sometimes the request comes in a way or package that is unexpected or an alternative will show up. Trust that if the thing you ask for does not show up one of four things has happened. 1. You asked but was not clear. 2. You asked in the negative and the negative showed up. 3. Something better is coming your way. 4. Creator wants you to go in another direction. Continue being a branch on the vine and watch as you begin to bear much fruit. If you are new to this site take the time to read my blogs especially on visualization and meditative prayer and brain waves they will be helpful to you in understanding the process of asking and receiving in thanksgiving. Join me on July 12, 2013 for a free teleconference entitled “Tap into the Secrets of Your Money Consciousness”.